The town was gazetted in 1896, and at its peak during the gold rush, it had 15,000 residents, eight hotels, a soft drink factory, two breweries, a hospital and a stock exchange. Other facilities included a hospital, three churches, Salvation Army Hall, a chemist, two banks, police station with resident magistrate, a mining registrar, a post office, a cordial factory, six grocery stores and two draperies, and blacksmith and bakers' shops. The town was the administrative centre for smaller settlements in the area including Ora Banda, Smithfield, Black Flat, White Flag and Grant's Patch. By the mid 1920's the rush was over and the town was virtually abandoned. Significant finds of gold came out of Broad Arrow and it is rumoured that you can still find gold there today. Known originally as Kurawah, it is said that Broad Arrow changed its name when a prospector found gold and marked his way back to the spot with Broad Arrows. 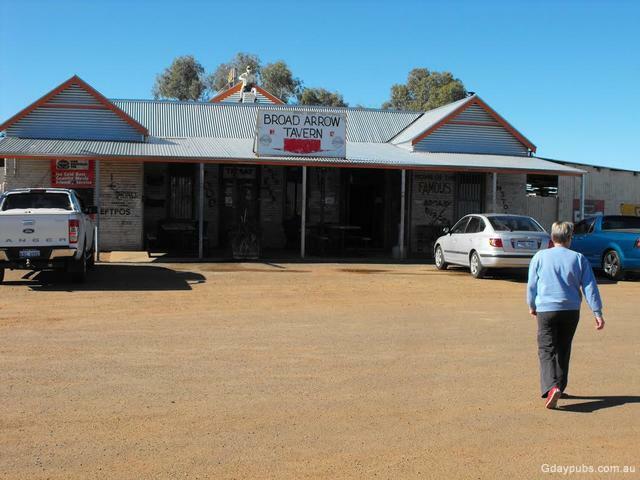 While you are in town, stop into the Broad Arrow Tavern, built in 1896, this quintessential Aussie outback pub now provides food and accommodation to visitors. 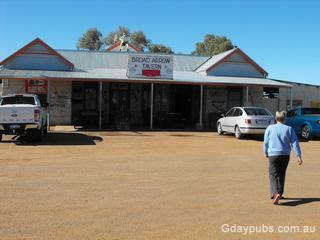 Broad Arrow is around a seven hour drive east of Perth via Kalgoorlie.